Becky Mingard in Current Affairs UK Politics on 20 February, 2018. 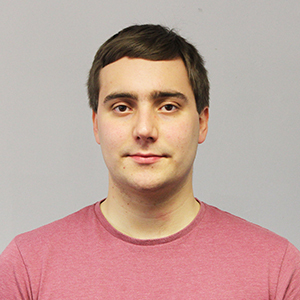 I sat down to interview Josh Butterworth, a fourth-year candidate for the SU presidency. What impacted your decision to run for the SU presidency? I decided to run because I really don’t like the way the university is changing, especially with the Estate’s Masterplan. I think it’s rushed; I think it’s unsustainable; I think student numbers are going to be too high without the proper facilities to hold them and I think someone needs to hold the university to account on this. Someone needs to commit the university to become more transparent. I looked up and no one was really doing this, at least not to the extent I wanted to. So, when it came around to these election times I thought, time to stand up, be counted and put my money where my mouth is. One of the first things you mention in your manifesto is transparency, but can you explain what processes or projects you want to put in place to ensure that? Well, I think it’s about having better dialogue between the university executives and students. I want them to really explain what they’re doing and why they’re doing it. There’s a lot of proposals at the minute, there are a lot of things going through consultations – well, they should be more open consultations, students should be able to respond. The university does want student consultations but they often do it behind closed doors, so we don’t know if the students they’re talking too are representative. The process would just be committing the university to doing this, making them see that it’s in their benefit to do so. And do you think the SU president is in a position to do that? I think the SU president is possibly the only person in Durham in a position to do that. They’re in regular contact with the university executives. When the university is looking for a student voice on an issue, they’re the first point of contact. 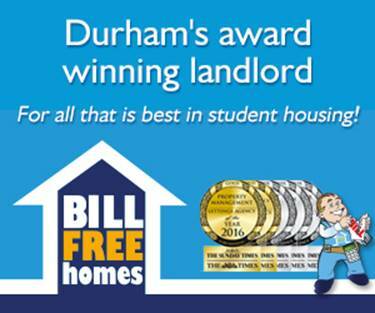 The SU President is the only person elected to represent the views of all students in Durham. Transparency is something the other candidates mentioned as well, so what more can you offer in this regard than they might be able to? I think mainly when other candidates have discussed transparency, they’ve discussed it in terms of small issues; they’ve discussed it just in terms of the Student’s Union. I want this to be far-reaching; I want it to be easier for students not only to see what the Student’s Union are doing and why they’re doing it, but to see what the university is doing and why they’re doing it. I think I’m the only one really prioritising it and putting it at the top of my agenda because some of the other candidates are discussing transparency as more of a buzzword than as a policy. In the second part of your manifesto you talk about international students, referencing them in your speech as ‘often overlooked section of our Durham community.’ Why do you think this is? I think it starts when international students first arrive in Durham. I think there is a tendency that as soon as international students arrive, although they don’t feel excluded, they don’t feel like their concerns are treated as validly as UK students. A lot of them arrive before UK students do and they arrive at different times so it’s more difficult to talk to them. I think it’s not given any sort of priority for that reason, which is wrong. It’s difficult, yes, but that doesn’t mean it shouldn’t be done. The way I see it is, that this should be where the Student’s Union steps in to support the colleges here. And do you think you’ll be able to maintain this inclusion through the year, after Fresher’s Week is over? I think so, yes. It’s definitely about working together with the International Association to see how best to do this. If we include international students from the get go, we make sure their concerns are listened to and that they know that the Student’s Union is there for them, that will be the case for their time throughout Durham. But it all begins in that week. The final point I wanted to pick up from your manifesto is that you talk about ‘opinions being challenged respectfully’ without ‘personal attacks.’ This seems to be a recurring problem we have, not just in Durham but in wider politics. How do you think you can change this? I think the first thing to do is to set an example yourself. I’ve made no bones about the fact that I’ve got issues with some of the candidates’ policies but I refrain from attacking them as people. I think that it’s inappropriate to do so: this is student politics, after all, and there’s no need for it to get messy. I think it’s just about encouraging people to behave in the same way and calling them out when they are attacking someone personally and make them aware that that’s not acceptable. At the end of the day people do want to have these difficult discussions, they do want to exchange opinions and we should be providing the environment to do that. You’ve mentioned before the Stockton move: what role do you think the SU plays in ensuring the smooth transition? I think it’s got a key role to play; the main thing is in establishing the student community. At the end of the day the university is going to build the buildings, there are going to be beds for people, but in terms of making sure these places transform into student communities it’s going to be difficult, especially in the first few years. Even just little issues like college families: these people have always had people who did their degrees in Stockton and now that will change. I think this is where, as an SU, we need to do some sort of departmental parent scheme to make sure there is some support network in there. The SU needs to ensure that in these first few years we have got everything there for the colleges to be a success. It’s been notoriously difficult over the years to engage students in SU politics. Why do you think it’s so important for people to engage and how will you ensure this? I think it’s important to engage because there are very big things going on at the minute in the university; the Estates Master Plan is huge. It’s already having an impact in overcrowding and it’s already causing students’ experiences to be compromised. If you don’t speak up then your voice isn’t going to be heard. If you don’t vote in this election, if you don’t engage in it, then you’re not going to be able to have an impact on the direction the university takes in the years to come. That goes not just for freshers and second years, but even finalists who are graduating. I’m in my last year but no matter what happens with this election I will always have Durham University stamped on my CV. If the university develops a bad reputation over the next few years because of overcrowding, which I think is a very, very real possibility, then that’s going to damage that stamp on my CV. There’s been a lot of recent discussion and attempts at tackling sexual harassment, both within the university and around Durham. Do you have any plans to continue these actions? Definitely. It goes without saying, sexual harassment is abhorrent and I think it’s a sad reflection of the student community that it’s such a large issue. I’ve known people who’ve had issues of sexual harassment within the SU and within SU activities but who really struggle to report this due to confusion over who to report to, confusion over what the procedure is and confusion over what impact it would have over that person and the society it happened in. So, I want to make these sorts of policies clearer, to be more transparent and open about it, so people actually know what happens in these situations. If you could summarise with one sentence why students should vote for you, what would it be? You should vote for me because the other candidates want to change the SU – they want to remake it their image, they want to impose their own views onto it – whereas I don’t want to change the SU, I just want to change the university.